Approximately 130,000 knee replacement surgeries are performed every year in the United States. We are investigating potential lawsuits throughout the United States for claims on behalf of victims who received a Persona, or NexGen CR-Flex Zimmer-brand knee implant that is or may be defective. Two prominent Chicago surgeons are calling for a recall on Zimmer’s NexGen knee replacement implants. The implants are associated with a high rate of failure, with one study observing that 36% of implants were loose within two years of surgery. This looseness may cause pain and may require subsequent knee replacement surgery. These Zimmer Knee Implant lawsuits will allege product liability, negligence, and failure to warn claims against Zimmer, Inc. and Zimmer Holdings, Inc., the manufacturers. The FDA is concerned about Zimmer Persona knee replacements. If you or a loved one has received one of these replacements and experienced complications, you might be able to pursue certain legal options against Zimmer. In March of 2015, the FDA announced that Zimmer Persona knee replacements might be faulty, and will require additional surgery in the event that the product fails. The FDA went so far as to issue a recall, affecting the nearly 12,000 artificial knees implanted in patients and warning doctors to clear their shelves of Zimmer Persona knees. The Persona was introduced as a more “personalized” knee replacement, designed to act more like a natural human knee. It was aggressively marketed from late 2012 to early 2015, with Zimmer harping that it provided a superior “anatomical fit” than your standard knee replacement. Turns out, this may not be the case. In early 2015, the FDA recalled the knees, noting that there were problems with poor seating and fixation. This is obviously a big deal because poor seating can lead to pain, discomfort, and even the need for replacement surgery for those who have Persona knees. Zimmer also announced a voluntary recall of the knees, after finding a higher than the desired rate of “radiolucent lines” in patients receiving Persona knees. These lines are typically found in total knee replacements and are indicative of a poorly cemented or poorly situated knee. The defective Zimmer NexGen CR-Flex product is a Femoral Implant. The femoral implant is a synthetic device used to cap the femur (the thigh bone) at the point where it connects to the tibia at the knee. It is made of porous fiber metal and a cobalt-chromium-molybdenum alloy and is attached to the femur without cement, unlike many other traditional knee implants. In a total knee replacement surgery, surgeons remove the bone and cartilage on the end of the femur (thigh bone) and the shin bone (tibia). 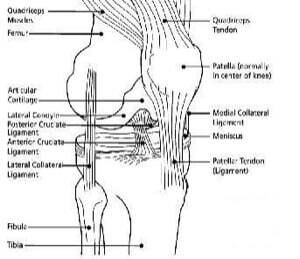 Devices, oftentimes made of plastic or metal, are then attached to the bones to create a new knee joint. What Is Wrong With The Zimmer Knee Implants? The defective Zimmer Knee Implants, introduced in 2003, use a porous metal component. The exact reason for the failure of the device is not yet known. In other brands, cementless femoral components work fine. However, this is not the experience that surgeons are having with Zimmer’s products. Zimmer has sold over 150,000 of these implants since the product was released in 2003, and the NexGen products make up 2% of the $1.76 billion in sales from 2009. Zimmer claims that the Chicago surgeons simply implanted the devices incorrectly, which ignores the extensive experience of these orthopedic professionals. Zimmer has not been receptive to Dr. Berger’s call for a voluntary recall. What Is The Status Of The Zimmer Knee Implant Litigation? In 2017, Zimmer asked the MDL judge who oversees all of the over 300 federal cases to keep the cases in the MDL. Many plaintiffs' lawyers want their knee-replacement clients to have a chance to take their cases to trial. Zimmer is claiming class action discovery has not been completed. Do I Have A Zimmer Knee Implant Claim? Our lawyers are no longer taking new Zimmer cases. We are taking Exactech Optetrak and Arthrex IBalance claims.